Nos. 1 - 5 Denbigh Terrace, Denbigh Road early last century. 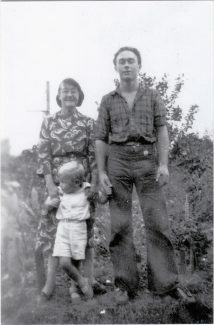 My mum and brothers in the back garden. The railway pole can be seen in the background. Me aged 7 at Langdon Hills Primary School. The photo was in black and white but was coloured in. My brother Barry John, dog Bess and Leticia the doll which my big brother brought back from USA together with the dress I am wearing there (he was a Merchant Seaman). Also notice remains of air raid shelter on righthand side. Mum, brother Ted (parrot on shoulder - he brought it back!) me and Barry. Two old aunties with a very young me taken at Southend, possibly. 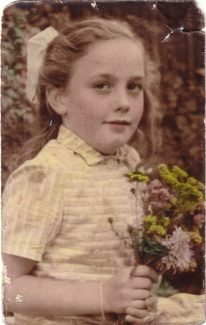 I was born in 1943 in Denbigh Road, Laindon (an unmade road) and left in 1952. I enjoyed my childhood there, having a back garden with the railway track on the other side of the fence. I used to stand on the fence and the train drivers would wave and toot as they passed (the house vibrated as they thundered by). My oldest brother Ted worked as a porter at Laindon Station which was a short walk from our home. In front of our house I remember a green painted street lamp which was lit by gas. I recall it had a bar under the lantern which I and other local kids would swing from. 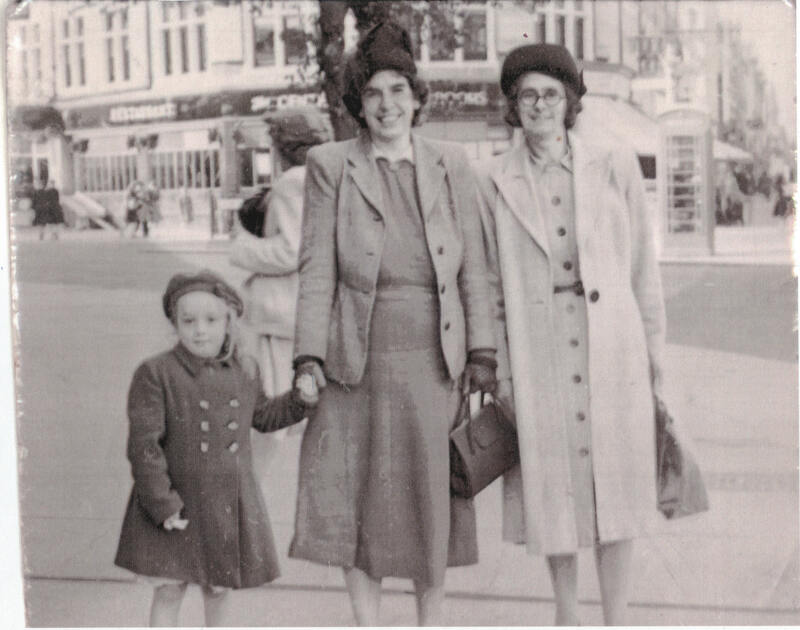 Mum worked in Greens Stores on the corner of Durham Road and she also cleaned for the Jeakins, Moss and Collings families, who were all related. Mum took in work from Wagner’s Cracker (Bon Bon) factory which was on the A127. Many a time neighbours came round to help out with making Christmas Crackers and paper hats. Paper, glue and boxes everywhere, but it was a good laugh. I can still remember the smell. My sister Connie worked at Rotary Hoes in West Horndon. Our house was rented from a Mr Rawley. When older, it was my job to go and take the rent money to him. Mr Rawley scared the life out of me; a little thin, moustached, Dickensian type character, weasel-like, in a brown suit, topped with a brown trilby hat. His ‘office’ was opposite Churchill Johnsons, suspended over waste ground and I had to walk along a small wooden bridge held up by long poles to his little office at the end. I was always frightened of falling over the edge; it looked a long way down! Our house had gas lights, an open range fire and a fireplace in one of the bedrooms. In the scullery, we had a concrete-housed copper which had a space at the bottom to make a fire to heat water for our tin bath or for laundry. The sink drain pipe protruded from the outside wall of the house with a bucket underneath it. One night, someone sawed it off flush to the wall; it was made of lead, so it was valuable – well it was coming up to Christmas! The outside toilet was situated away from the house in the back garden and had to be emptied into a hole dug at the top of the garden, out of the way, (at night we had potties under the bed!!). Some winters the house would flood inside and as kids, I recall leaning over the settee floating paper boats along the living room floor and furry mould grew up the walls! We later found out that we were living in a “condemned” house and also that the block of houses may have been built on a pond! 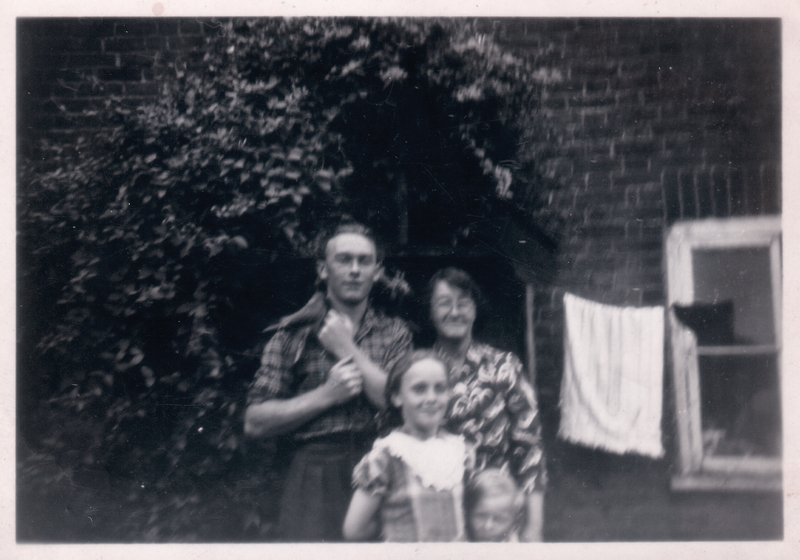 My parents had moved to Laindon from East Ham in 1926 and lived in various places around Laindon and Langdon Hills. My dad was a carpenter by trade (a Journeyman) and helped to build several of the plotland bungalows in the Laindon area. The Turner family lived in the big house up the road. Mr Turner (Turners Coal Merchants) worked in the yard next door to our house, weighing the coal and coalite etc., and shovelling it into bags. I remember the horses, a stroppy dapple grey and a beautiful brown horse called Lizzy. I would go and see them in their stables and sometimes sit on their backs. There was also an Airedale-type dog called Gussy who I perceived as being absolutely enormous. 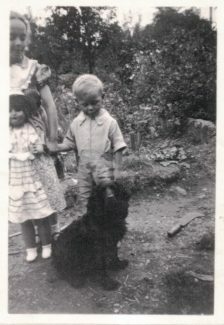 Before I left Denbigh Road, the yard next door was bought by Snook the Stonemason but I still visited the yard; playing with the Snook children. I marvelled at their dad’s works of art. It was a good but quite basic life and neighbours were a big part of our lives. Mr and Mrs Turner lived at the top of the road on the same side as Andrews post office. Next was Markhams, then our family at No. 1. No 2 – the Sargeant family, No. 3 was the Hymas family, No. 4 was Pastor West, his wife and family (Elim Pentecostal). No. 5 I remember was Alf and Vi Cyster at the end of the block. Next came the Chapmans, then the Lins, Mrs Lins being a money lender, a very busy place! Next the Warners, then I remember the Hudsons, the Olivers, the Brockwells, the Clement family and Miss Le May who was a very old eccentric lady, her bungalow was the last. I ran errands for most of these people. With plenty of pennies in my hand! Then there was wasteland that went into Durham Road. I knew the Andrews boys and their mum and also the twins Mary and John Marchant who lived opposite in a flat above Barclays Bank. I believe their dad was a Bank Manager. The other thing I remember about Denbigh Road was Presland’s Fair which would set up in the field opposite my home. The Fair people were very friendly and I visited their caravans and watched them making humbugs from a hook on the wall. I loved the fair especially the jungle ride! The Cullum family lived in a bungalow near the other side of that field. Further up the road behind the Cullum’s, was the big house in which Turner’s the coal people lived. Later the Collings family came to live in that house – Collings the Laindon shop people, who are still around. My parents took me to the Radion cinema many times; Saturday mornings I attended Kids Club and had a Roy Rogers badge! Sometimes local talent competitions were held there. We walked for miles in any direction. At Berry Lane, we helped out the trader Harry Slater when his family moved into a big house near the recreation ground. The garden was a wilderness but we had a lot of fun. Harry had a granddaughter called Penny, younger than me and I often wonder what became of her. 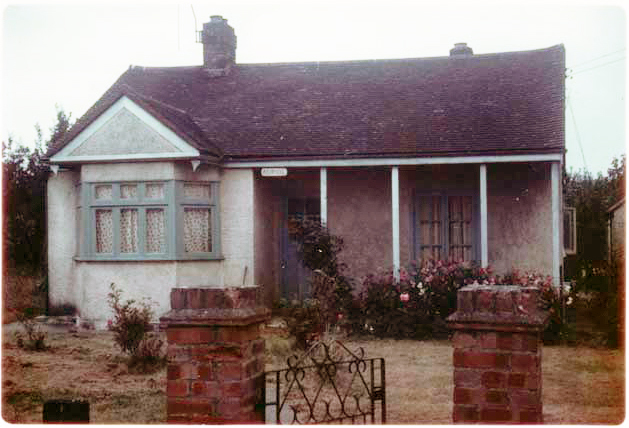 We’d often walk to visit our relatives who lived in Dunton; my dad and his brother had built their wooden bungalow called “Auriol” in Lower Avenue. They had a pump in the kitchen which pulled water from the well in their garden. As kids, we would lay over the top of the well and look down into it – no health and safety rules then! Their garden was an orchard – a kid’s paradise. During my time in Denbigh Road, there were several bungalows after the block of five houses and I knew every neighbour. However I am wondering if anyone can give me any more information about Denbigh Road? I have now located ‘Brandisi’ on the BDC 1949 survey map. It is listed being in Durham Road, (on the corner of Denbigh Road). Described as 1 storey with 4 rooms. A lean-to/greenhouse isn’t mentioned, but the shape on the map does show a square with an extra bit on one side which was probably the shop. Unfortunately pictures cannot be added to a comment. Having just read the comment from R. F. Howard, a bell started to ring regarding the man with no legs. The chap with no legs is mentioned in Joan Sims’ autobiography and also in an article on this website called “When “Youth Service” came to Laindon”, which explains how he really lost his legs. The man was Harry Stopher and he lived with his wife Emma in “Brandisi, Durham Road. Maybe this was where the ‘greenhouse’ shop was. I will do some more research. Ref to shop name. I have spoken to my friend Bill [Nobby] Clark about the so-called greenhouse shape shop. He remembers the signs on shop and seems to think the owner had a nickname of tin leg because he had lost both legs in the war, but he cannot remember the name. Hi Andrea. You mentioned Mr Snook, a stone mason. While looking through the online newspaper archives, I found a 1956 advertisement for F.G. Snook & Son of Denbigh Road, Laindon, who made ‘White Italian Marble Memorials’ (including a picture of one). They advertised a small extra charge for delivery within a 150 miles radius of Laindon. I can remember the little shop it was a small greenhouse like structure that was almost stuck on the side of a bungalow I think the terminology is a’ lean to’. It had been closed down and was almost derelict in the late 50s when I used to walk passed it on my way along the unmade Durham Road towards the first railway bridge. I cannot recall the name of it but have a hazy recollection that it had some brand advertising in the windows to denote it was some kind of a general store. Hi Andrea. This is a difficult one to research. As pre-50 was mentioned, I looked on the Basildon Development Corporation’s 1949 survey map. Unfortunately there is nothing to indicate a shop where described. Not even the shape of a lean-to/greenhouse. Without the names of the ‘shop-keepers’ I cannot trace the name of their property. Sorry. Nina: Just wondering if you could provide the name of that little ”shop” Bruce refers to – yes – those ice lollies with the flavour of sterilised milk – how much were they – a farthing?? I just can’t recall the names of the couple who served there. Where Denbigh Road joined Durham Road, there was a very small shop. Not so much a shop, more like a small greenhouse, attached to the side of a bungalow. I do recall that the attraction of this ‘shop’ for us kids was the primitive ‘ice lollies’ that they made and sold, just small cubes of frozen, sweetened milk, served on a small square of greasproof paper. I was pretty young at the time, and I cannot remember anywhere else in Laindon selling ‘ice lollies’ at that time, I guess probably pre 1950. Hi Paul; Numbers 1 to 5 Denbigh Road were terraced houses; I was born 1943 in number 1 Denbigh Road, so only remember Mr and Mrs Sargeant living next door to us in number 2 Denbigh Road. I am sure my mum would have mentioned if they had ever lived at number 3 – that was the Hymas family there during my time. My grandparents, John and Florrie Sargeant lived at 3 Denbigh Terrace in 1939 but on his death certificate in 1953 their address changed to 2 Denbigh Road. Was that the same house and the address changed for whatever reason or did they move house? Does anybody know as I thought it was the same house? I remember all the names mentioned by Don Joy (Smith) and I would add Cassie the granddaughter. 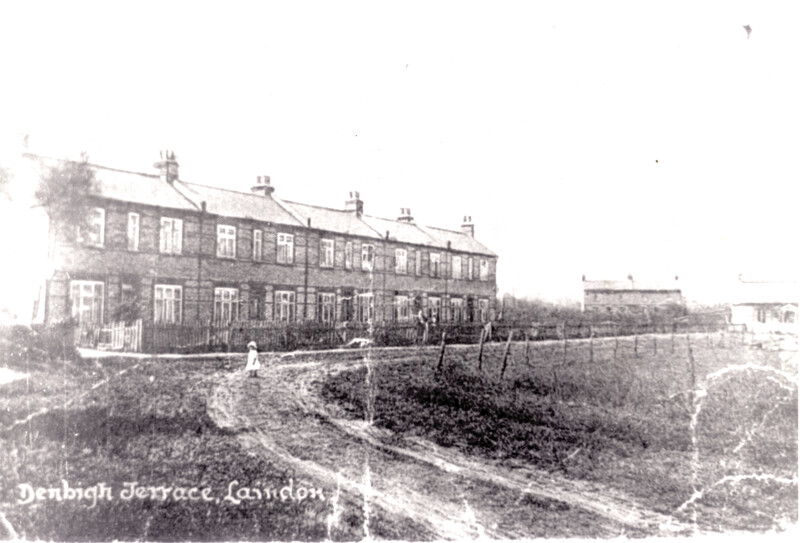 At the same time of the coal yard, next door to our house, Mr Turner did have an extra store of coalite etc., in the grounds of ‘Sharrow’, on the right hand side – he used that to shovel up, weigh and bag. When Snooks Stonemasons took over the yard, I believe they lived in Billericay at that time. My grandparents the Turners moved from Denbigh Road to Leinster Road and dwelt in a bungalow named “Veanda” a name that intrigued me until it was explained to me – V and A, Victoria and Albert! After some years they had built for them a new bungalow in New Century Road which to honour their son (my uncle, Cassie’s dad) they named Basilcroft. After her husband passed away she lived in a mobile home in Clacton for a short time, eventually moving back to Basildon into a flat in Ballards walk until her demise. Both rest in the cemetery of St Nicholas Church. I myself live in Clacton and Cassie lives in Lincolnshire so don’t see much of each other. Turner’s coal yard in Denbigh Road was the home of my maternal grandparents Frances and William (Bill) Turner. The house was named “Sharrow”. There were 3 children, Basil and as they wanted a daughter and it just wasn’t happening for them they adopted my mother Patricia (Pat) then some 10/11 years later a daughter was born to them, Vivian. I still carry a scar from falling off my tricycle in the yard and landing on a piece of coke. My grandfather owned many fields in the Basildon area where he grazed his horses, linked to this and my uncles name Basil and the shortened version of my name Donald, Don it is easy to see why, as a young boy, I was convinced Basildon was named after us. ? ? ? Further to my previous comment, I thought a bit of irony might be welcomed. The Turner house namely “Sharrow” and the adjoining coal yard in Denbigh Road was, in what year I cannot recall, compulsorily purchased by Basildon Development Corporation. The property was to be very soon demolished to make way for redevelopment as an industrial estate. This did not happen and the property was then sold on (at great profit) to Snooks the stonemason. Over 20 years later the site was cleared and the proposed industrial area was subsequently constructed. Now for the irony ! The exact spot that “Sharrow” previously occupied became ——— a coal yard ! That’s progress? Fortunately neither of my Grandparents survived long enough to have been exposed to this travesty. Mrs Ash makes reference to the Markhams (Charles and Winifred) being next door neighbours when she was living as a girl at Number 1 Denbigh Terrace. 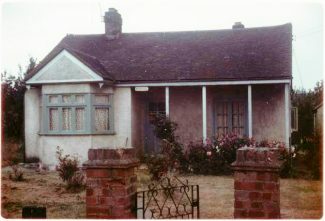 Certainly, the Markhams lived in the bungalow named “Conway” and were living there in 1949. “Conway”, however, had previously been the childhood home of Arthur Dunlop who, after being curate at St Nicholas Church at Laindon went on to be the first incumbent at St Martins in Basildon Town Centre. Eventually, he became the Rural Dean at Maldon. The plot on which “Conway” was built backed onto the path that led from the railway bridge to the railway cottages and, also, close to the railway’s boundary fence which gave access in turn to the foot crossing over the railway track itself to the renowned “cinder track”. This ran parallel alongside the south side of the railway and gave the residents of roads like Beatrice, Sylvan, Bridge and Raglan as well as the lower end of Berry Lane, a short cut to both the bridge and to Laindon Station. 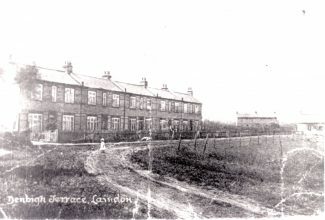 Denbigh Terrace itself was constructed in connection with the abortive “Laindon Racecourse” project which, lacking the necessary financial support, never took off, although the field to the west of and at the rear of the now demolished “Laindon Hotel” remained for many years as a reminder of what might have been. The land which Mrs Ash speaks of as “waste” where Rawley’s small estate office was erected on stilts and to which she walked to by means of a timber built walkway was, in fact, known locally as “Cyster’s field”. It was on the corner of this that the Townsend family of Pond Lane, Basildon, opened their fruit and vegetable stall after they took over the Cyster’s greengrocery business in the late ‘30s. Thanks Mr Bathurst (please call me Andrea!) your response brought back several memories; but most of all, I particularly enjoyed your third paragraph – complete news to me and so interesting. I knew I could rely on you.